The men and women’s Lacrosse teams rank nationally in the top 15 for Division II sports. The men’s lacrosse team has as record of 8-1 this season, ranking them as fifth in the nation for Division 2 sports. This season the men’s team has made history by beating Limestone College, Belmont Abby and Lindenwood for the first time. They have, however, suffered their first every conference loss to Florida Tech. Amongst other losses, the team has had to adapt because “losing Conor Whipple as a player was an adjustment since he was a four-time All-American player at UT,” said Head Coach Roy Whipple. Coach Whipple has been coaching college since 1976 and coached for. Whipple has had five college jobs, including and startinged three programs at Bryant, Florida Southern, and Tampa. Whipple has remained as UT’s coach for the seventh season working and training his athletes. Drew Anderson, a senior accounting major said, “Our men’s lacrosse is a perennial top five team nationally, so it is almost expected for them to be as successful as they are,” said Drew Anderson, a senior accounting major. Anderson is the president of Athletic Marketing at UT and has watched the journey of these athletes over the years. He has nothing to say but kind words of the winning performances this team has made throughout his collegiate career. Coach Whipple said he is looking forward to winning the conference and going to the National Collegiate Athletic Association (NCAA) championship. 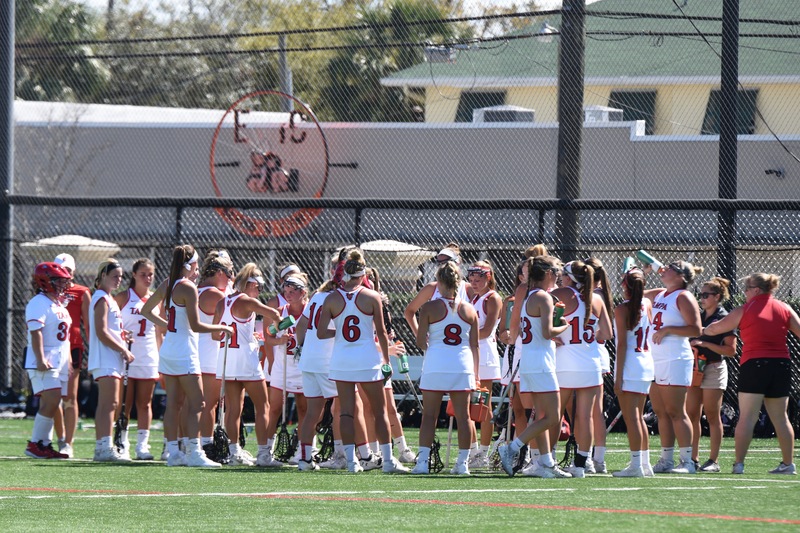 As for the women’s lacrosse team, they have a current record of 8-3 and are ranked 15 in the nation for Division II2 sports. Carraway has been on the women’s lacrosse team all four years of her collegiate career. She talked about what an honor it has been to see the start of this program and how far they have come. Carraway said they aren’t settling and cannot wait to see what the national championship holds. The girls started off the season by beating a top ranked team, Rollins. They have never beaten them so it became a motivational factor for the rest of the season. After that win and a few others, the girls team became nationally ranked for the first time in our the lacrosse programs history. “It’s a very rewarding feeling for the team finally seeing all the hard work is paying off and putting Tampa out there on the map,” Carraway said. Another highlight this season, for Carraway was when she got her 100th career point. It was a goal she strived to accomplish before graduating. The women’s lacrosse team will try to continue their winning streak on Saturday, March 31 hosting Colorado State-Pueblo at 1 p.m. The men and women’s Sunshine State Conference (SSC) games begin April 27 and the NCAA begin May 12. The location and times are still to be announced for both teams. “For me personally, lacrosse is my favorite UT sport to watch, so it’s great both teams are winning so consistently,” Anderson said. Moving forward Student Government has included the Men’s Blackout Lacrosse game on April 7 at 8 p.m. as part of Senior Week. UT will be hosting Saint Leo at the Lacrosse Field. Student Government and Athletic Marketing are encouraging students to come and support their team. The Blackout game will be the largest sporting event of the Spring Semester. Athletic Marketing will be hosting a tailgate an hour prior to the game (7 p.m.) with a dunk tank, where you can dunk organizational presidents; yard games courtesy of Student Productions; drinks, from Residence Hall Association (RHA) and food from UT sponsors.